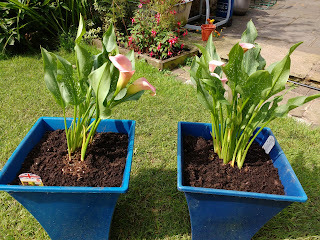 Whilst I was shopping at Aldi on Saturday I spotted some lilies. 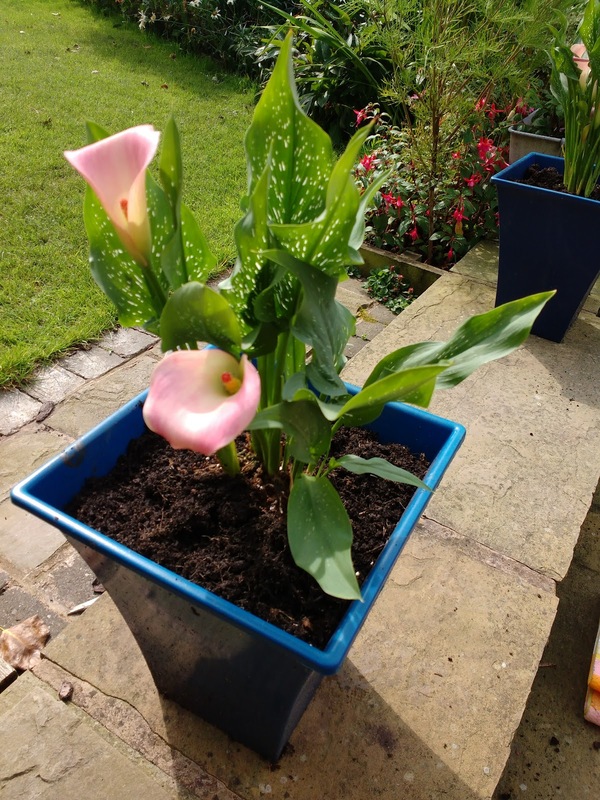 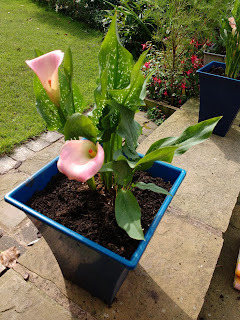 I bought a couple of the Cala lilies as I thought they would be perfect in the blue planters at the top of the steps. 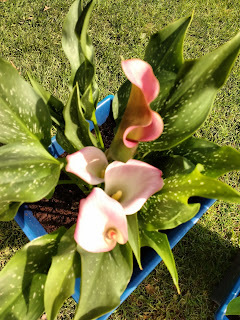 I have planted them and they look great.